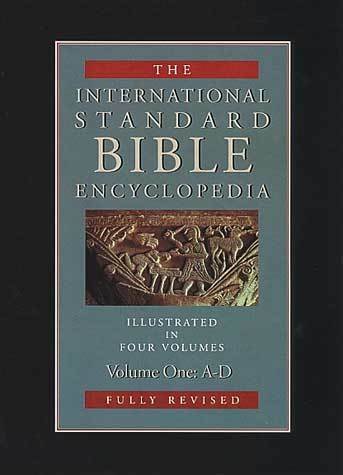 The International Standard Bible Encyclopedia (or ISBE) contains nearly 10,000 articles covering every person and place in the Bible, all terms of theological importance, and all terms having to do with the history, transmission, and study of the biblical text. These articles have been written by hundreds of contributors from many specialized fields of research. The Second Edition also adds cross-references for equivalent terms used by the King James Version and the New English Bible. Frequent discussions of Greek and Hebrew terms are included in articles, but all terms are transliterated, making this a valuable tool for both scholars and beginning students of the Bible. Longer articles include an outline at the beginning showing all of the points and sub-points covered. The Olive Tree Bible App edition of the text of ISBE includes close to 10,000 hyper-linked cross-references between articles. It also has nearly 130,000 scriptural cross-references, making navigating to related passages as simple at tapping on a link. Individual articles can be accessed using either the table of contents, or with The Olive Tree Bible App's "browse dictionary" feature. Users of the Olive Tree Bible app can also jump to articles in ISBE from other resources by using the "look up" option which is part of the Resource Guide. Please Note: Due to copyright restrictions, The Olive Tree Bible App edition does not include the images which are part of the print edition.